2017 AFC Oakley Football Club team line up. 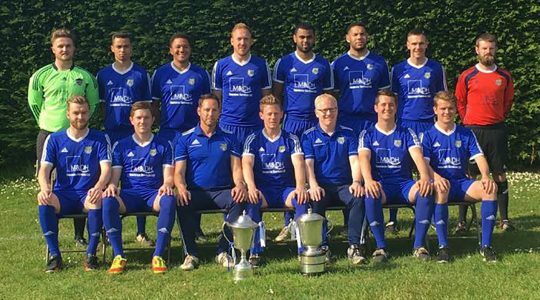 AFC Oakley run two senior Saturday teams (1st & Reserves) in the Bedfordshire County Football League, in recent years the teams have been extremely successful winning both league & cup competitions. Bedfordshire County League Premier Division Winners: 2015/16, 2013/14. County Senior Trophy Finalists 2014/15. Reserves Team Division 2 Winners 2013/14. We have two teams currently competing in two different leagues. Allstars - play in the Milton Keynes Borders League, Division 2. Giants - play in the Chiltern Youth League, Division 2. We have two teams currently competing in two different leagues. Allstars – play in the Milton Keynes Borders League, Division 2 (having moved – after eight years in the Chiltern Youth League – at the start of 2016-17 season in order to gain experience against other teams in the Bedfordshire and surrounding areas). The Allstars have x16 players and we train on Wednesday evenings in preparation for Sunday matches. Giants – play in the Chiltern Youth League, Division 2 and feature a blend of U15 & U16 players. This team has been together since the 2014-15 season. The Giants also have x16 players and train on Friday evenings. 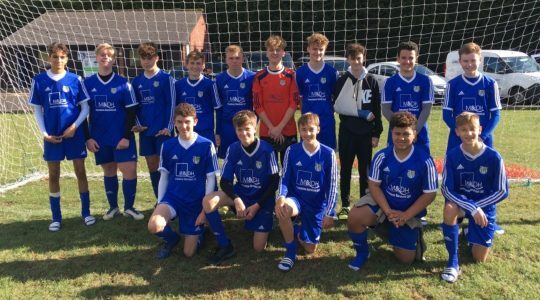 AFC Oakley M&DH U16 Lightnings play in Division 2 of the Chilterns Youth Football League. Our games are played on Sunday afternoons and our home pitch is the Oakley Sports and Social Club. We have a squad of 20 for this season. It’s fantastic that some of our current players joined the team during the early U6 - U9 seasons and some players have re-joined the team for this season. AFC Oakley M&DH U16 Lightnings play in Division 2 of the Chilterns Youth Football League. Our games are played on Sunday afternoons and our home pitch is the Oakley Sports and Social Club. We have a squad of 20 for this season. 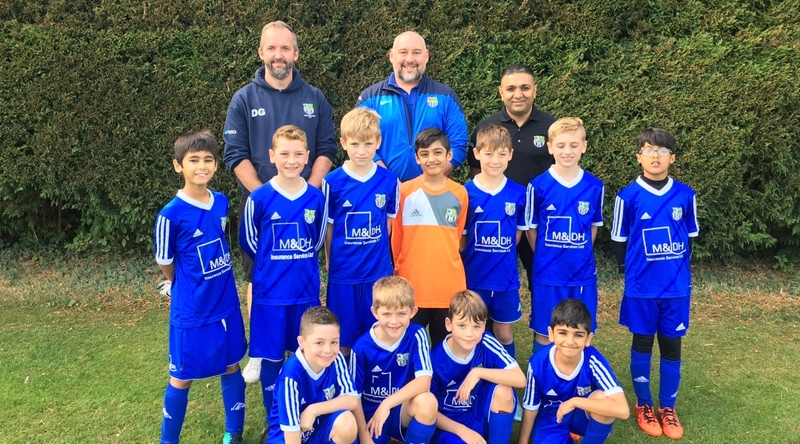 It’s fantastic that some of our current players joined the team during the early U6 – U9 seasons and some players have re-joined the team for this season. The team has been successful in recent seasons, winning the league and cup double on two occasions and we have won 4 promotions in the past 6 seasons. We are AFC Oakley U15s and run two squads, the Patriots and Steelers, both playing in the Beds Youth Saturday league (divisions 1 and 2) and training together on Thursday evenings. With over 30 players, many of whom have been together at AFC Oakley since they were 5 or 6, we are a close-knit group both on and off the pitch. We run with a very clear focus on ensuring the development of all of our players to be the best that they can be, playing skilful and committed football, with lots of ball-work developing their confidence, trust and respect, in a supportive coaching environment. We are frequent tourers, having taken in many corners of the country including Filey, the Isle of White and Bournemouth amongst others. Both teams have had their fair share of success, and perhaps more importantly, are frequently complimented on the style and manner of the way they play by opposition coaches and supporters. We are Oakley Knights U14s, currently playing in Division 3 of the Beds Youth Saturday League. We train at Bedford Uni on Wednesday evenings 7-8pm. Our footballing philosophy is simple – to have fun and always strive to be the best we can be (individually and as a team). We play attractive, passing football in a positive, encouraging and supportive environment. 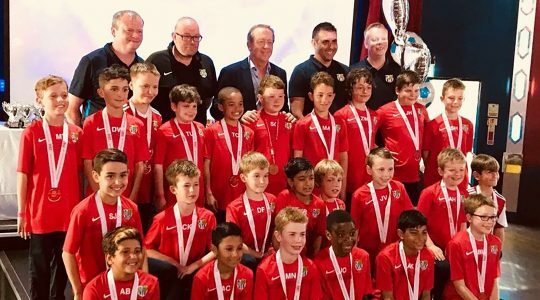 Our aim is not to create world class footballers, but to help our players develop the right attitudes and behaviours that will help them as they grow older. And we like to win the odd game of football too! 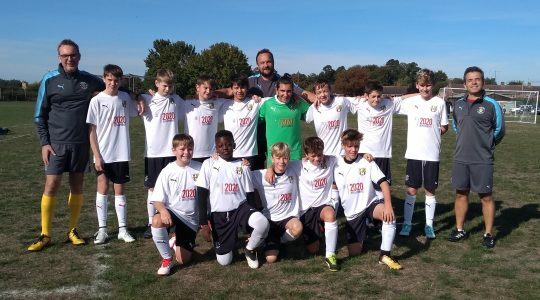 AFC Oakley Under 13’s play on either Saturdays or Sundays. On Saturdays we have two squads, the Panthers and the Jaguars, who play in the MKDDL league. Our Sunday team play in the Chiltern Youth League. We offer a safe friendly environment for the children to develop their football and are always looking for new players. Due to having multiple squads we can ensure that you child is playing at their right level to maximize their enjoyment of football. Please contact Ross for Saturday football and John for Sunday football. 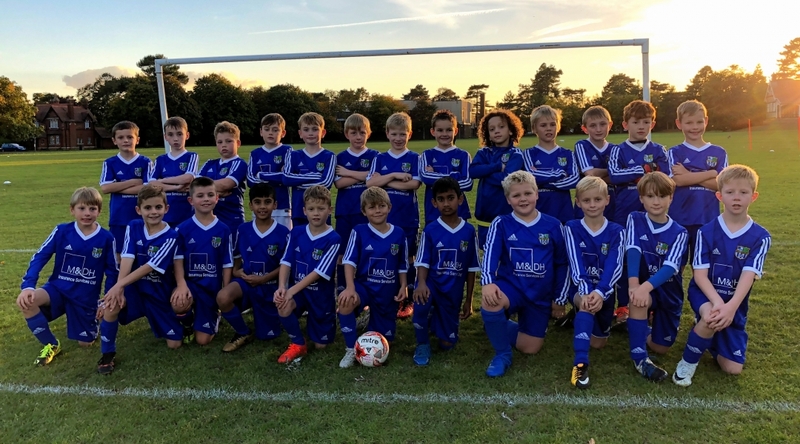 We are AFC Oakley U12s, we have a fantastic group of 42 players. 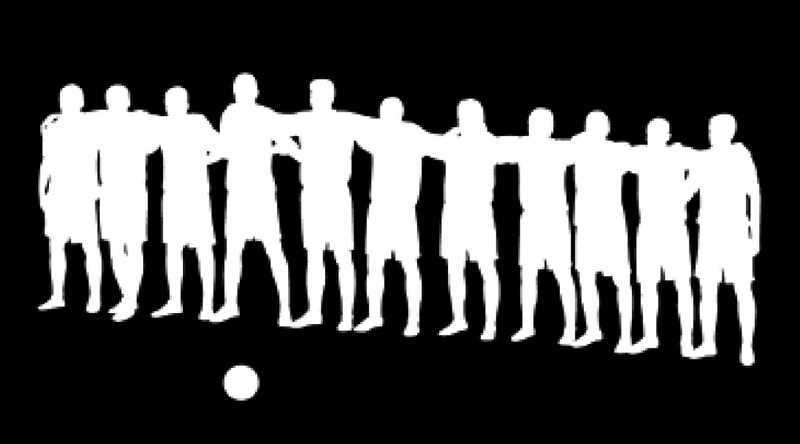 We have a very clear ethos of one team for all our players, for matches we split 3 teams of 11 players. Our 3 teams are called the Vipers, Panthers and Cobras. We are all about developing football skills, having fun, supporting each other and doing our best. 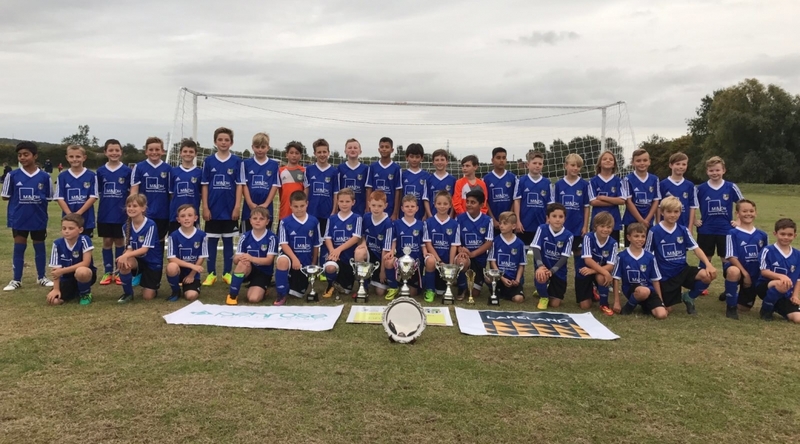 We are AFC Oakley U12s, we have a fantastic group of 42 players. 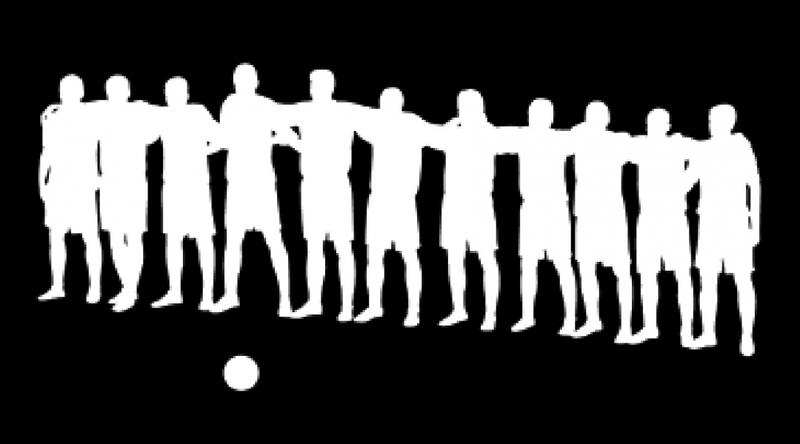 We have a very clear ethos of one team for all our players, for matches we split 3 teams of 14 players. Our 3 teams are called the Vipers, Panthers and Cobras. We are all about developing football skills, having fun, supporting each other and doing our best. AFC Oakley U12s have 8 coaches in the coaching team, we also have fantastic support in organising fixtures and fundraising. We are committed to the professional development of our coaches to ensure the highest standards. The team are also very fortunate to have a wonderfully committed group of parents. We play in the Milton Keynes District Development League (MKDDL) on a Saturday morning, we train every Thursday. The team has enjoyed some great success so far during their fledgling careers. When we were U10s this was recognised in December 2016 when, at the annual Bedford awards ceremony, AFC Oakley U10s were awarded ‘Team of the Year 2016.’ This category covers all sports and the team are proud to have been recognised for their achievements and pleased to fly the flag for junior football in Bedford. 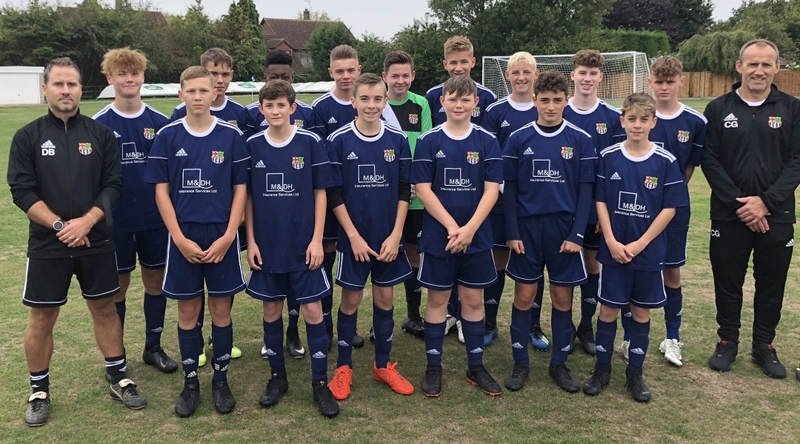 Next year (Season 2019/20) we will be Under 13s and this will mean a move from 9v9 games to 11v11 games…bring it on, they are growing up fast! Oakley under 11’s have over 40 children signed on and play in three teams namely the Pumas, Panthers and Jaguars.  We play our league games in the MKDDL league (Milton Keynes) on a Saturday morning and train together as an age group on Thursday evenings. We pride ourselves on developing creative footballers in a fun and inclusive environment. We have two league teams namely the ‘Kestrels and the ‘Falcons’. We play our league matches in the MKDDL on a Saturday morning and currently train on a Tuesday evening. We encourage our players to enjoy the game, develop their skills and always do their best! 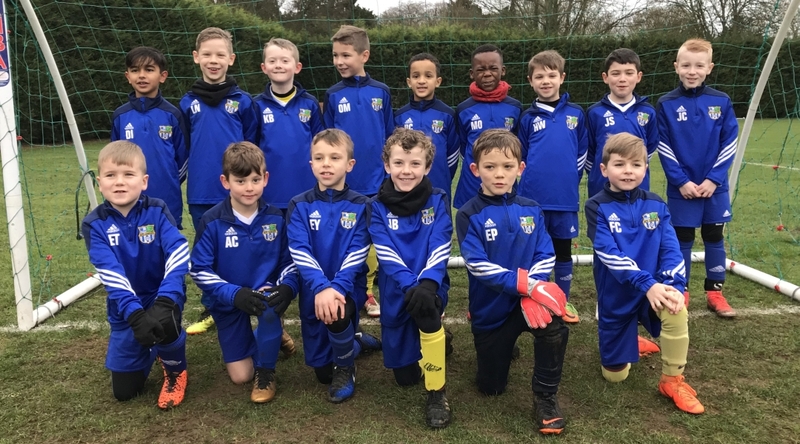 We currently have 28 players in our U9 age group who are supported by a coaching team of 6 volunteer coaches (FA Coaching Award Level 1 qualified), and have been together as a group since we were Under 6’s during the 2015-16 season. Welcome to AFC Oakley’s Under 9 age group. At the moment we have two teams (Falcons and Eagles) who play in the MKDDL leagues on a Saturday morning and currently train once a week on a Monday evening from 6 – 7 pm. The Under 9’s also have a closed group facebook page for parents and carers to receive regular updates and news.  Access to this group is upon request to Leigh Siddon (Team Manager). We currently have approximately 26 players in our squad who are supported by a coaching team of six coaches. (FA Coaching Award Level 1 & 2 qualified). We have been together as a group since we were Under 6’s. We are all about developing football skills, having fun, supporting each other and doing our best. 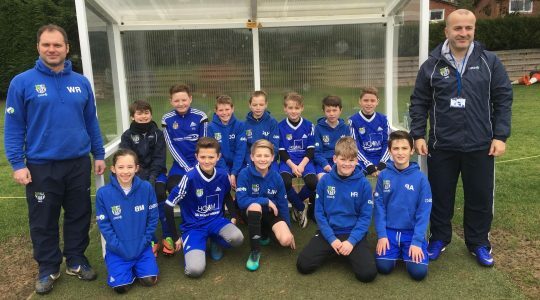 Welcome to AFC Oakley – Typhoons, Hurricanes & Tornado’s. Games are played at home behind Lincroft School. We are the youngest age group for AFC Oakley, we accept players who are 5 years of age and in reception year. We are all about developing football skills, having fun, supporting each other and doing our best. Training is Saturday morning from 10-11am behind Lincroft School.